Paediatric Therapy & Workshops provides intensive treatment for children with cerebral palsy and other neuromotor issues, facilitates post-graduate training for allied health professionals, and conducts research into the effectiveness of Neuro-Developmental Treatment. Neuro-Developmental Treatment (NDT) is an advanced 'hands-on' therapeutic approach for children with central nervous system insults that result in difficulties in task related posture and movement control. 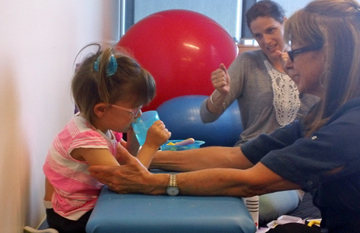 It is practised by experienced Occupational Therapists, Physiotherapists and Speech-Language Pathologists. NDT aims for children to achieve their highest functional participation in individually chosen daily skills. Paediatric Therapy & Workshops facilitate and provide post-graduate training in Neuro-Developmental Treatment (NDT USA), sensory processing and NDT ‘Adjunctive Treatments’ (such as Therapeutic Aquatics, and Casting, Taping & Orthotics). Our workshops and courses have been developed for OTs, PTs, and SLPs who treat children with neuromotor and sensory processing impairments. They are taught by experienced, qualified Instructors and combine theory with 'hands-on' experience. We also provide educational opportunities for therapists to learn the theory and principles of interventions, and their practical clinical applicationthrough observation, practice, and intensives in the workplace. The Intensive Therapy Program (Treatment Intensives) is an innovative treatment approach for babies and children with cerebral palsy and other 'neuromotor challenges'. It is designed to address the unique and desired goals of each child and the child’s family. 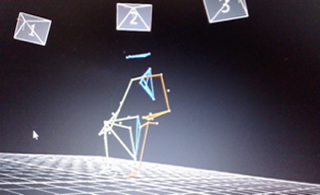 Vicon Motion Capture System used in research. The research focus of Paediatric Therapy & Workshops includes issues of efficacy, the development of appropriate research methodology, and the measurement of family driven functional outcomes for children. 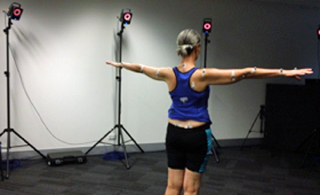 Our current research project is: 'Moving and Doing: Functional Outcomes of Neuro Developmental Treatment', in collaboration with researchers at Southern Cross University, University of Sydney, and Royal Children's Hospital Melbourne. 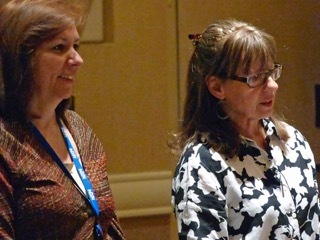 Our overriding goal is to facilitate improved functional outcomes for children who have developmental disabilities. We promote fun in therapy and an holistic, family-centred approach to therapy. NDT Treatment Intensives for families. Intensives are held at the Cerebral Palsy Support Network (CPSN) Melbourne, at the Southern Cross University (SCU) Gold Coast campus and via home visits. NDT Treatment Intensives/ Professional Development 'in your workplace'. NDT text book by Bierman, Franjoine, Hazzard, Howle, Stamer (2016).